Being a police officer is a very demanding yet fulfilling job. Your duties require you to be alert and ready to jump into any situation that calls for your expertise, skills, and experience. Of course, aside from your dedication to the job, your alertness and really quick response and actions, you also need to have the right equipment and gear to help you out. And it doesn’t matter whether you are always on patrol, in the office or regularly on your feet, you definitely need thee best and the most comfortable police boots to make sure that nothing will get in your way. Choosing the best one in the market is definitely a challenge. And it’s not just because you want something that fits your feet to a tee, but also because you need something that protects you and supports your movement without any restrictions. 0.2 What are Police Boots? 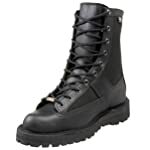 Police boots are part of the Law Enforcement boots category. These are boots worn by police officers while on duty and even during combat and combat training. They are usually designed to provide ankle support and stability and of course for foot protection against any type of environment. In history, law enforcement boots, combat boots and/or military boots were first worn by Assyrian soldiers. And eventually, the Roman army adapted the practice, but the boots were open and held together by straps. But by the latter part of the 1st century, the Romans began wearing a more enclosed type of footwear called caligae. These gave them warmth and protection without any type of movement restriction. Presently, are made of leather, rubber and other materials that could ensure full protection and feet movement. They now follow the “footsteps” of military and civilian hiking boots – those that are equipped with nylon side panels, waterproof and hardened leather to ensure comfort and ventilation. Choosing the perfect pair for police boots can be made easy, especially if you have a checklist of qualities that you can consider before making that purchase. Size – this is something that every person who is looking for a pair of shoes, strongly considers. Can you imagine buying a pair that is 2 sizes bigger or 1 size smaller? The experience of wearing them would surely be uncomfortable and painful. As for police boots, you definitely need to get into the specifics, in terms of measurement. Your boots should measure 6 to 8 inches in height to help you move more comfortably and to keep the boots from restricting your legs. Your toes should be about 12.5 mm from the front part of the boot. This will help you move your toes better. You should also choose a pair that doesn’t squeeze the sides of your feet to tightly. Safety – your police boots need to be effective when it comes to protecting your feet. Being a policeman means that you are always open possible activities that could put you in danger – injuries and accidents. Choose boots that reinforced or durable toe caps, soles that are puncture proof and those with electrical insulations. Utility – look for high traction boots that help you patrol sidewalks, pavements and other types of environment effectively. You do not need a pair that with soles that don’t have enough grip on the ground. If you are looking for a more stable and durable type of police boots, then the Danner Men’s Acadia 8″ Boot can just be the one that you need. It’s signature stitch-down structure gives you the grip and the protection required from law enforcement boots. The great thing about this pair is that it gives you the right amount of traction to keep you on your feet during chases, patrols and hikes. You can also rely on this pair to keep you from slipping even during rainy and snowy weather. When it comes to protection, this pair is designed to execute effective abrasion, scuff and tear resistance. Made from pure-grain leather, nylon and lined with Gore-Tex, it doesn’t soak up water and allows your feet to breathe even if you have been wearing them for extended periods of time. The makers of Danner also ensure that even during damp or wet conditions, your feet will not get soaked nor will your boots accumulate water inside. When it comes to wearable and comfortable police boots, there is one name that gives you both features and more! Bates Men’s 8 Inches Durashocks Lace-to-Toe Work Boot is designed to ensure that you can easily put them on even during emergencies. It is so easy to put on and to remove because of its zip-up features. The sides and the upper area are both made of high-grade ballistic nylon that ensures resistance against abrasions, tears and scuffing. As for traction, the boots are equipped with their famous Bates DuraShocks which absorbs pressure and energy through the built-in compression pads found in the forefoot and heel portions of the boots. The outsoles are made with highly durable Goodyear Rubber, which helps prevent slippage and other accidents. So you can run across wet roads and slippery ground and you will not miss a step, nor will you injure yourself in case of unexpected falls, drops or other unfortunate events. As their slogan goes, these boots are definitely tough enough for the force! The pair is made with durable leather, nylon and Goodyear rubber which provides any policeman comfort and long-lasting protection that he needs. If you are looking for a reliable and hardworking pair of police boots, Thorogood Men’s Trooper 8″ Side Zip Boot is the “boot” for the job. It ensures flexibility and comfort of movement, even for action-packed days. Each pair comes with a polyurethane insert that allows you to flex your feet when running and walking. Its Dri-Lex Aerospacer lining keeps your feet dry at all times. The soles act like shock absorbers, which helps distribute your weight and energy throughout the outsoles – thus keeping you from injuries. The boots’ Goodyear rubber outsoles offer the right kind of traction to be able to move about without slipping on wet concrete, rocks or soil. They also offer a sturdy grip on asphalt, tiled or concrete pavement. The leather, because it’s of the best quality offers long-term service. It’s waterproof and will not wear out that easily, despite your active or action-packed lifestyle. There are different brands and models of police boots in the market. The trick to finding the best pair for you is to research, scout and compare each one. This way, you will be able to determine the pair that suits your needs and your responsibilities as a law enforcement officer. Once you have done all these, you will find out that buying the most comfortable police boots isn’t so hard and frustrating after all. The three brands that we have shared with you can offer a great head start and can give you an idea on which ones to be on the lookout for.